Last evening I was made aware of a new podcast called Truth’s Table. The particular episode I was linked to is entitled “Gender Apartheid.” Among the hosts and guests are members of PCA and OPC churches; women and men with leadership responsibilities. The content of the discussion is shocking to anyone who actually believes and upholds the doctrinal standards of the PCA and OPC. If you listen to the podcast what you will hear is typical boilerplate liberation theology which is fundamentally unbiblical and incompatible with the gospel and the church’s mission. Sadly this has been allowed a foothold in the PCA. Some of us have been warning about it, apparently to no avail. It is nothing more than the latest incarnation of the social gospel which ironically destroys the gospel by replacing it with something else. During the discussion the hosts dismiss the biblical pattern of male leadership within the church as nothing more than a manmade rule. They also mock those who uphold that biblical pattern and join that mockery with crude language. Keep in mind that these men and women are members of and serve in churches whose standards uphold those biblical patterns of leadership. Near the very end of the podcast one of the hosts gives a brief nod of legitimacy to transgenderism. This is not surprising given the radical roots of their categories. I will not labor over every problem with the content of this podcast. You will be able to hear for yourself if you choose. But be warned. It is very tedious. It is something that would be warmly received in the PC(USA) for sure. What is so troubling is that it is being received by some within the PCA. This will not end well. Experiments in the social gospel never end well. If you are a member of a PCA church you have a voice. 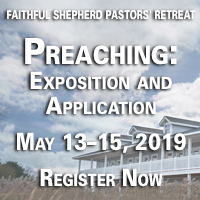 I would encourage you to make the pastor and session of your church aware of this and encourage them to take action by contacting the appropriate churches and presbyteries. You will also want to pass it along to the clerk of your presbytery. Let us do all we can to keep these unbiblical ideas from spreading any further in the PCA and corrupting our Lord's church. Express your concerns to your local church, presbytery, and denominational leaders.